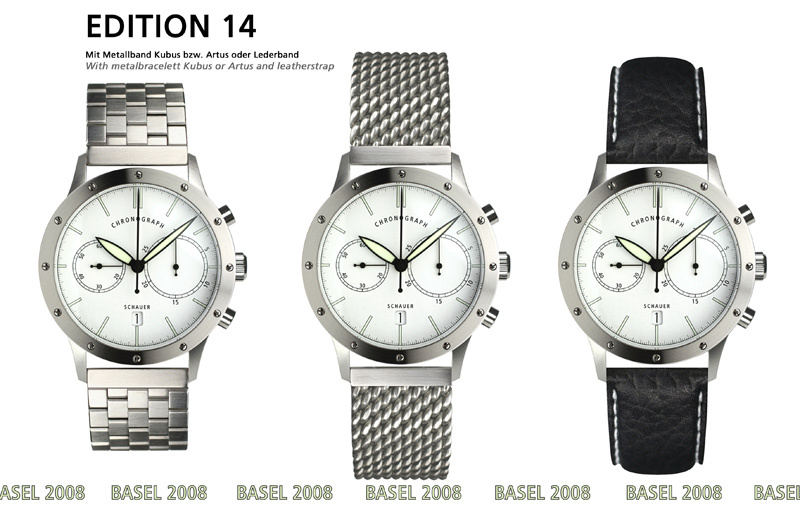 Edition 14 was introduced new at the Basel fair in 2008. Illuminating hands and indices, narrow bezel and a new lettertype. Small design steps with big result: Schauers Cronographe line reflect a complete new face.